The Senate at work on Thursday. CONCORD — One of the Democrats’ priorities for this session was debated for more than an hour before passing along party lines on Thursday as the discussion turned partisan on several key bills on the Senate’s first session day. Democrats want to use $4 million from the state’s unemployment trust fund to boost existing job training programs to help provide a stable workforce for businesses faced with a shortage of skilled workers. But Republicans said the additional $4 million the bill would provide is unnecessary because job training money is unspent and using the fund would require businesses to pay $13 million more into the unemployment fund next year. The bill targets recent high school graduates who want to learn trades instead of attending college, older workers on their second or third careers and people recovering from substance abuse. Republicans argued more than $80 million is spent on training programs and not all of the money is used. And they said there is no accountability for how the money would be spent. The bill has the backing of the Business and Industry Association and several Republican senators noted the organization represents big business which can afford to train their own workers, while small businesses would pay for it. But Democrats said the state can’t wait because there are jobs with no one to fill them, which would eventually send companies elsewhere to look for skilled workers. The Senate voted 14-10 down party lines to approve Senate Bill 2, which now goes to the House. The debate was just as partisan over Senate Bill 11, an attempt to address the continual problem of people needing emergency mental health treatment sitting in emergency rooms — some up to a month — until space is available at the New Hampshire Hospital, community mental health centers or other appropriate facilities. Senate Bill 11 would add $9.5 million in surplus general fund money to address emergency room wait times for psychiatric services, double provider rates for those services, renovate up to three additional designated receiving facilities, increase funding for transitional housing and would require insurance companies to cover up to 30 days of emergency room boarding. The bill would also provide money to meet requirements of the mental health services settlement reached among the state, patients and the federal government several years ago. The prime sponsor of the bill, Sen. Tom Sherman, D-Rye, called the current situation cruel and egregious and said it is time for the state to put money into the system instead of talking about it. The Senate voted 16-8 to initially approve the bill and send it to the Senate Finance Committee for additional work before the Senate takes a final vote. 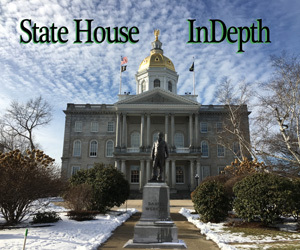 Sen. Jeb Bradley, R-Wolfeboro, proposed an amendment that would also increase rates, expand access to psychiatric services for voluntary and and committed patients for additional designated receiving facilities at lower levels than Sherman’s bill. It would eliminate the insurance coverage mandate and add more money for mobile crisis units, which he said is essential to solving the problem. Without the units, Bradley said, the bill would not solve the problem they all acknowledge has to be fixed. Instead it would push all those needing emergency services into hospital emergency rooms. Two years ago, lawmakers approved money to add a designated receiving facility, additional beds for emergency psychiatric patients and another mobile crisis unit, but there were no bids by hospitals to provide additional psychiatric beds and designated receiving facility, Bradley said. At the time, hospitals never said the current provider rate was not sufficient to entice them to bid, he noted, so he agrees with doubling the rate but wants some assurances hospitals will participate. Sherman and Bradley both said they used numbers provided by the Department of Health and Human Services, although the figures differed with Bradley saying his numbers align with the recently released state 10-year plan for mental health services. 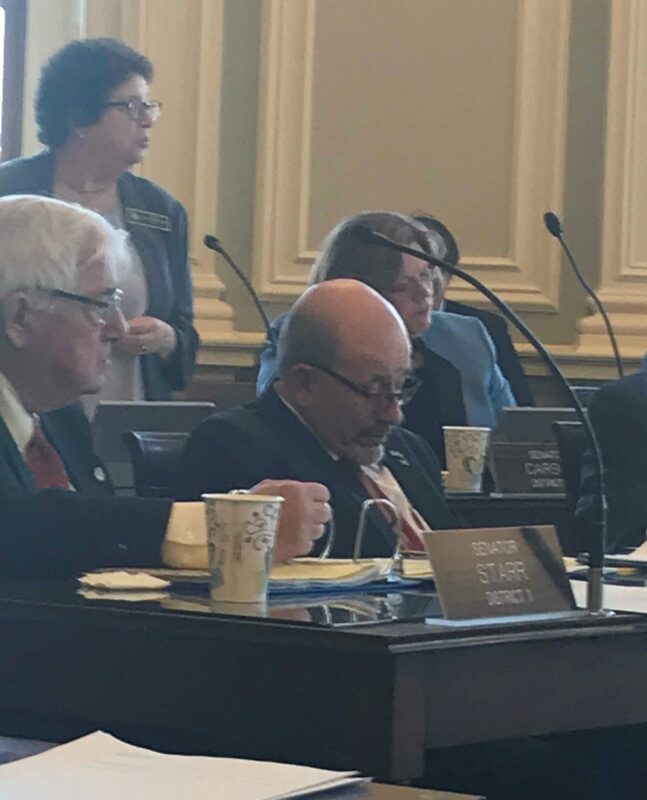 Senate Majority Leader Dan Feltes, D-Concord, said Bradley’s proposal came to light just before the session was to begin and drastically rewrote the bill approved by the Senate Health and Human Services Committee. And he said removing the insurance mandate would allow insurance companies to continue to skirt reimbursing hospitals for emergency room stays before patients are transferred to appropriate mental health services. But several Republicans complained they asked for additional time to work on the bill, but were denied and said their only option was to address their concerns on the floor of the Senate. An attempt was made to send the bill back to committee for more work, but that was voted down 14-10 along party lines. Bradley said he would vote for the bill if the Finance Committee agreed to look at the provisions he raised in his proposal, as well as determine the correct funding levels for expanding services. Last year, when lawmakers reauthorized the state’s Medicaid expansion program, it changed how recipients are covered. Originally those in the expansion program were covered by private insurers through the state insurance exchange, but when the program was reauthorized, it was moved to the state managed care program for traditional Medicaid services. The state Medicaid rates are much lower than those paid by private insurers and providers said they would not be able to afford to continue to provide – particularly substance abuse services under the new reimbursement rates. Expansion proponents have touted the program as one of the key elements in the state’s fight to address the opioid addiction epidemic and mental health issues. Senate Bill 5 would use the $3 million to increase the reimbursement rates for those programs. The Senate along party lines approved a bill that would allow public employees who are not members of unions to voluntarily have fees for additional benefits deducted from their pay. Opponents said the provision should be included in the collective bargaining agreement, not done through law. The bill passed on a 14-10 party line vote.